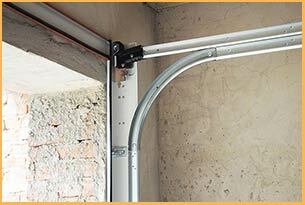 Springs are indispensable components in the smooth operation of a garage door. They are responsible for raising and lowering the door. Springs being the weight bearing components in the door, if broken can become a threat to life and property. And that is why, you need to call the experts in to have a look at your garage door springs and tighten, repair or replace them as necessary. Every technician aiming to work with springs should possess relevant knowledge, skill and expertise. Springs must be picked based on the weight of the door, size, and other requirements. In case the technician fails to fit the springs properly or chooses inappropriate springs to lift the designated load, the consequences in due time can be grave. This is why it is always recommended to opt for professional garage door experts at United Garage Door Service who have been helping the Salisbury, MA community with repairs and servicing garage door springs and in dealing with pressing garage door issues for over a decade. Modern torsion springs have an edge over extension springs in terms of safety and reliability. The uniqueness of this system is what gives birth to its strength. The entire setup comprises a tightly wound spring over a shaft, with cables running through drums at both ends. When the door is lifted, the spring unwinds, transferring its stored energy to the cables which lift the door. These cables are the ones providing the added safety, as they can hold up the door even in the case of a broken spring. Torsion springs are ubiquitous and can be widely used on most types of doors, from simple single-vehicle garage door at your home that requires less than two springs to large industrial garage doors that require multiple springs. To decide the number, size, quality of these springs you need skilled technicians and United Garage Door Service is where you get them! Extension springs are based on the fundamental science of expansion and contraction and have a substantial load-bearing capacity. The spring remains in its default, expanded position when the door is shut and contracts when you open the door. Such springs are associated with enormous tension and inexperienced handling is inadvisable. If an old spring snaps while working, it can release all its stored energy which is enough to cause grave damage to your property. Extension springs may not burn a hole in your pocket but they do require routine maintenance checks to ensure smooth operation at all times. 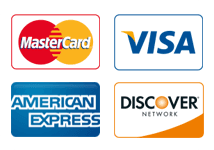 With United Garage Door Service, you get comprehensive and affordable solutions to all your spring-related issues.